NOTE: Incidentally, this is an altogether joyous experience… although the BIOS boot screen defaults to Ubuntu startup if you fail to choose between Windows and Ubuntu, which seems ever so slightly cheeky given that Ubuntu was invited in as a guest… put it down to open source fervour… although the boot options are obviously very easy to edit in the BIOS itself. 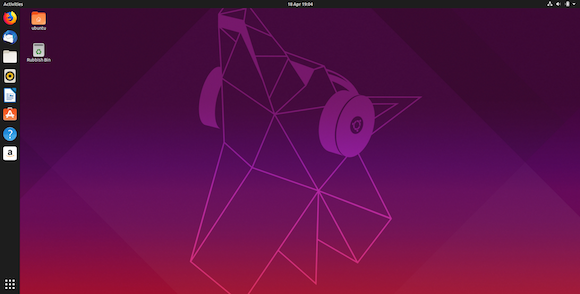 So what of Ubuntu 19.04 then? Canonical says this version of the OS is all about open infrastructure, developer desktop and IoT. “The open-source-first on Ubuntu movement in telco, finance and media has spread to other sectors. From the public cloud to the private data center to the edge appliance or cluster, open source has become the reference for efficiency and innovation. Ubuntu 19.04 includes the leading projects to underpin that transition, and the developer tooling to accelerate the applications for those domains” said Mark Shuttleworth, CEO of Canonical. Ubuntu 19.04 integrates recent updates from open infrastructure projects including OpenStack, Kubernetes, and Ceph – with advanced life-cycle management for multi-cloud and on-prem operations – from bare metal, VMware and OpenStack to every major public cloud. 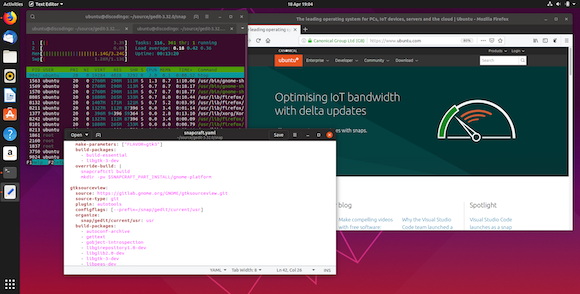 Amazon published Greengrass for IoT on Ubuntu, as well as launching the AWS DeepRacer developer-centric model for autonomous ground vehicle community development, also running Ubuntu. The Edge X stack and a range of industrial control capabilities are now available for integration on Ubuntu based devices, with long term security updates. Microsoft Visual Studio Code joined the list of developer tools published as snaps including IntelliJ, pyCharm, Postman and microK8s. AI, machine learning and data science platforms continue to prefer Ubuntu for rapid adoption and fast project iterations. In Ubuntu 19.04, multiple instances of the same snap can be installed for CI/CD, testing or phased rollouts. For example, two versions of a database or two versions of the golang compiler can be installed at the same time. Snap epochs control when and how data migration happens between major version upgrades. 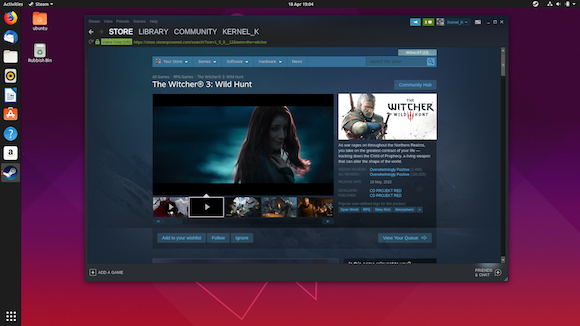 More than 2,000 independent software publishers now distribute their applications to Linux desktops, appliances and cloud VMs through the snap store, growing 30% since October 2018. “[Factors such as] empathy, diplomacy, conflict resolution, being able to deliver constructive criticism and effective evangelism of your opinions are hugely important. These traits are helpful not only to navigate all the elbowing open source environments might involve; they also foster a welcoming, diverse and collaborative culture. 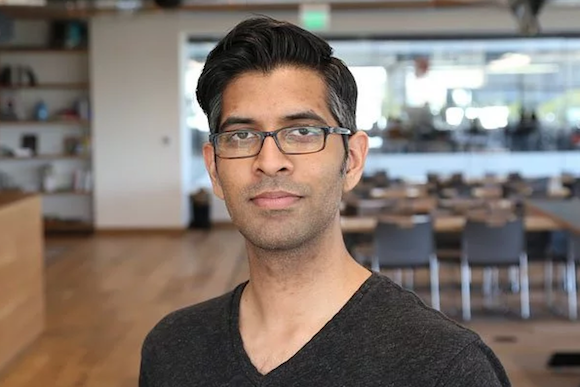 Without the ability to interact and empathise with others, debate in a way that is not abrasive… and effectively advocate for your opinions and ideas (let alone your code), you won’t be able to build a healthy, long-lasting project,” said Giridharagopal. Recognising that our industry is full of ‘brilliant jerks’ [Ed: I think he meant ‘geeks’ not ‘jerks’ right? ], Giridharagopal says these talented developers might produce great code, but are often terrible at working with others. According to the firm’s official descriptor, DataStax Enterprise helps developers exploit hybrid and multi-cloud environments via a seamless data layer that eliminates the issues that typically come with deploying applications across multiple on-premises datacentres and/or multiple public clouds. So… all of that said then, DataStax often styles itself not as a database company, not as a programming company… but as a data developer company (not it’s official branding, just our interpretation)… and previous interviews with the company’s ‘solutions architect/vanguard’ Patrick Callaghan are linked here. Putting the pedal to the (bare) metal [cloud server] then… well, they did call it DataStax Accelerate after all… the event is held May 21-23 in Washington D.C. and will feature more than 60 speakers from the international brand customers including Conde Nast, DreamWorks, Facebook, Home Depot, Instagram, T-Mobile, Verizon, Walgreens and Yelp. There will also be hands-on labs, an application bootcamp, free Apache Cassandra certifications and a drone race. Yeah DataStax, Conde Nast customer stories are (probably) lovely… but you had us application bootcamp and drone race. Keynotes will include addresses from DataStax CEO Billy Bosworth (Accelerating Development in a Cloud World) and DataStax co-founder and CTO Jonathan Ellis (Five Ways DataStax Is Building a Better Cassandra), plus also Apache Cassandra Project Chair Nate McCall (Apache Cassandra – The Road to 4.0). As part of this event, the company will also host its inaugural Stax Awards (aka the Staxie), to recognise customers. To qualify for the 2019 awards, companies must be active DataStax Enterprise, DataStax Distribution of Apache Cassandra and/or DataStax Managed Cloud customers. The judging panel for the awards includes various journalists and analysts, including (ah hem)… myself. The Modern Applications Powered by DataStax Award showcases companies that are building transformative applications—apps that are always-on, contextual, real time, distributed and scalable – on top of DataStax. In a software-defined network, a network engineer or administrator can shape traffic from a centralised control console without having to touch individual switches in the network. Why all the software-defined contextualisation? … it is, if you will, an edge to core to cloud play that we’re seeing here. 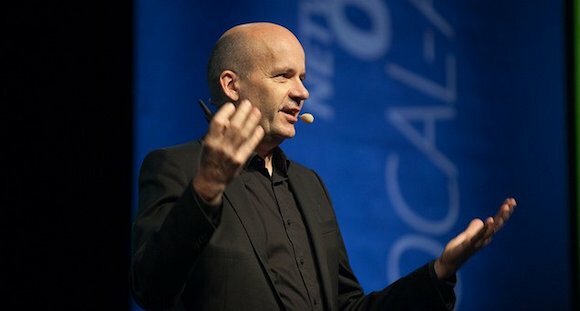 “Because our customers have a growing need for computing solutions that span the edge to the core data center to the cloud, SUSE must be able to deploy and manage seamlessly across these computing models, unencumbered by technology boundaries,” said Thomas Di Giacomo, SUSE president of engineering, product and innovation. Di Giacomo looks fondly back upon the fact that SUSE has been delivering enterprise-grade Linux for more than 25 years now. Given this timeframe, he says that it’s only natural that the company now expands to cover the entire range of customer needs for both software-defined infrastructure and application delivery. SUSE to create, deploy and manage applications and workloads on premises as well as in hybrid and multi-cloud environments – and it does so with an open source first and container-first technology approach. In terms of roadmap developments, the company notes that SUSE Cloud Application Platform 1.4 will be available this month. This will be the first software distribution to introduce a Cloud Foundry Application Runtime in an entirely Kubernetes-native architecture via Project Eirini. NOTE: Project Eirini is an incubating effort within the Cloud Foundry Foundation enabling pluggable scheduling for the Cloud Foundry Application Runtime. Operators can choose between Diego/Garden or Kubernetes to orchestrate application container instances. The goal is to provide the option of reusing an existing Kubernetes cluster infrastructure to host applications deployed by CFAR. Project Eirini allows users to take greater advantage of the widely adopted Kubernetes container scheduler and deepens integration of Kubernetes and Cloud Foundry. It also allows developers to use either Kubernetes or Cloud Foundry Diego as their container scheduler. Whichever is used, the developer experience is the same. So SUSE now highlights increased multi-cloud flexibility with new support for Google Kubernetes Engine (GKE), Google’s managed Kubernetes service. This expanded support for multi-cloud environments extends the options to use the platform in public clouds (Amazon EKS, Azure AKS or GKE), on-premises with SUSE CaaS Platform, or as a multi-cloud combination. SUSE’s latest enterprise-ready OpenStack Cloud platform will also be available in April as SUSE OpenStack Cloud 9. It is the first release to integrate a selection of SUSE OpenStack Cloud and HPE OpenStack technology into one, single-branded release. Based on OpenStack Rocky, SUSE OpenStack Cloud 9 helps simplify post-deployment cloud operations using the new Cloud Lifecycle Manager day-two user interface – it also helps transition to SUSE OpenStack Cloud from HPE Helion OpenStack. One final open source project to mention: SUSE OpenStack Cloud 9 simplifies the transition of traditional workloads through enhanced support for OpenStack Ironic. With a heavy emphasis on open platforms and open tools, Laguna’s four commandments stem from his experience gained working at Open-Xchange (OX), where the company develops open source communications software for telcos and ISPs. Open-Xchange’s successes include the Dovecot IMAP server for email, which has five million live servers worldwide and upwards of 2 billion users. Laguna insists that open source solutions offer enterprises and SMBs the opportunity to ensure long term independence and data sovereignty — he ‘strongly believes’ in the following ‘four commandments” to follow when choosing a service provider. Users should be able to move their data between providers. Moving from one service to another usually necessitates that the data held by that service is also moved. When services are based on open standards – like mail or files are – data portability can be relatively easy. But already, proprietary messaging services are making it difficult, or even impossible, to transfer messaging histories to another service. Even worse are cloud services with proprietary data formats that render the data useless, when it is opened by alternative software or services. This simply serves to lock the user in and create a ‘Hotel California’ scenario, where you can check out any time you like… but you can never leave. Whilst cloud-based service providers are popular and useful today, this may well change over time and an organisation may decide to become its own provider by in-sourcing the service or running a private cloud. This is only possible if the software of the cloud service is available to the user. If the software is open source, users can look at the code and make up their own minds on whether to trust that service or not. Furthermore, everyone can access and audit the code. This degree of transparency is a key benefit of all open source projects. 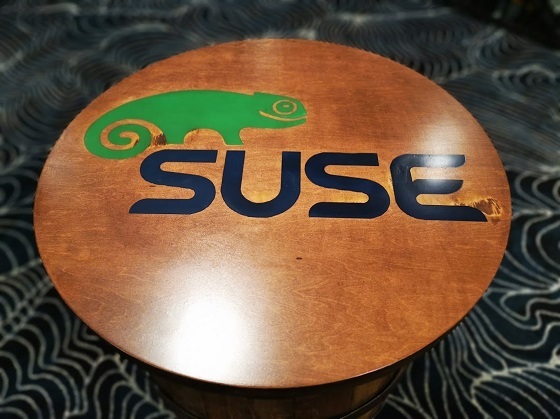 As one would naturally expect at an annual convention, SUSE saved up a few partner, product, platform type announcements to break at its SUSECON show this week. Among the positive push proclamations made at SUSECON 19 was news of support for 2nd Generation Intel Xeon scalable processors, formerly code named ‘Cascade Lake’. This news follows news detailing SUSE’s status as the first enterprise Linux optimised for Intel Optane DC persistent memory with SAP HANA workloads earlier this year. SUSE president of engineering, product and innovation Thomas Di Giacomo has said that this connection will help organizations embrace hybrid and multi-cloud as well as on-premises environments. Intel says its persistent memory technology will spark new applications for data access and storage, with in-memory database solutions being just one application. Persistent memory (also sometimes called PM, or PMEM… and sometimes known as storage class memory) is a solid-state high-performance byte-addressable memory device that resides on a memory bus so that it can enjoy the ‘luxury’ of DRAM-like access to data. The byte-addressable element means that programs can access their data structures ‘in place’ i.e. at the location that they exist. What really makes persistent memory stand out is that it’s fast enough to access directly from the processor without having to stop to perform the block Input/Output (I/O) for traditional storage. Intel’s Andy Rudoff describes persistent memory here and delves into why there’s so much activity around it in the industry lately. Alper Ilkbahar, vice president and general manager of datacenter memory and storage solutions at Intel has said that his firm is focused on data-centric transformation by ‘disrupting the memory and storage hierarchy’, no less. Also in major partner news, SUSE has noted the availability of the first enterprise Linux image for SAP HANA ‘Large Instances’ on Microsoft Azure. We are told that the SUSE Linux Enterprise Server for SAP Applications image on Azure provides consistent build and management capabilities on Azure. SUSE is working with Microsoft and the community to deliver enterprise-grade Linux and other solutions that enable customers to create, deploy and manage workloads anywhere with exceptional service, value and flexibility. “This is a customer-driven solution jointly developed with Microsoft to provide the advanced high availability and storage security for SAP HANA Large Instances that customers need,” said Daniel Nelson, vice president of Products and Solutions for SUSE. Nelson says that SUSE is delivering an SAP-certified platform for Azure that is pre-configured and able to make customers productive faster. How big is a large instance? SAP HANA Large Instances on Azure are purpose-built hardware configurations for SAP HANA workloads that require memory sizes larger than 0.5 TB. SUSE is collaborating with Microsoft to support mission-critical workloads for SAP HANA environments up to 60TB in size with the stability and reliability of SUSE Linux Enterprise Server for SAP Applications. 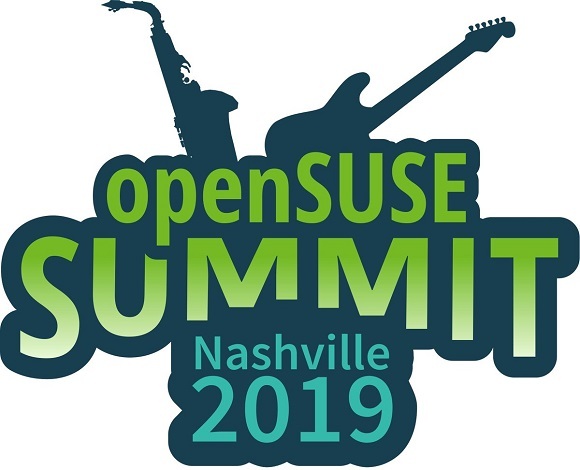 As noted here, despite SUSE’s open openness, SUSE spans other proprietary world and so SUSE Linux Enterprise is in fact the leading Linux platform for SAP HANA, SAP NetWeaver and SAP S/4HANA solutions – it aims to provide optimised performance and reduced downtime as well as faster SAP landscape deployments. Open source Ruby and Erlang based configuration management tool company Chef has now committed to develop all of its software as open source software under the Apache 2.0 license. Open open open… yet always with a nod to commercial enterprise grade, the company balanced its open announcement with the introduction of a new commercial distribution, the Chef Enterprise Automation Stack. Commercial yes, but Chef Enterprise Automation Stack is built from the same open source code. Chef says it welcomes any use of its open source projects for any purpose (in alignment with the four freedoms of FOSS) and welcomes future contributions. The freedom to study how the program works and change it so it does your computing as you wish — access to the source code is a precondition for this. The freedom to distribute copies of your modified versions to others — by doing this you can give the whole community a chance to benefit from your changes — and, again, access to the source code is a precondition for this. These new developments are hoped to streamline procurement, deployment and use of Chef products including Chef Infra (formerly Chef), Chef InSpec, Chef Habitat, Chef Automate and Chef Workstation. The Chef Enterprise Automation Stack will unify previously distinct solutions — Chef Automate, Chef Infra, Chef InSpec, Chef Habitat and Chef Workstation. This software is intended to help users to manage heterogeneous, complex environments and applications — and, crucially, it claims to eliminate the need to re-write applications for the cloud and enables comprehensive portability across any public or private platforms or services. Proprietary projects include SAP HANA — SUSE reminds us that its SuSE Linux Enterprise Server (SLES) was the first operating system for SAP HANA and the organisation insists that it remains a co-innovation partner for solutions such as SAP S/4HANA, SAP Cloud Platform, SAP Data Hub and other elements in the total SAP arsenal. As is the trend these days, SUSECON doesn’t start on day one, it starts on day zero. SUSE CEO Nils Brauckmann spoke to press during the day zero kickoff at 9am on April Fools’ day… with what he promised to be fully open, honest and true statements. “Those of you that don’t know us will be surprised at how open we really are,” said Brauckmann. Brauckmann underlined the assertion that the company’s recent move to its independent privately owned status runs in line with the firm’s ambition to become the largest independent open source company. He also noted that with an increased level of growth in software-defined infrastructures, there will be more focus on SUSE application delivery solutions in the coming weeks, months and years. “We plan to remain committed to open open source. This is meant to not just describe how we develop and license our source code… it’s about how we work with partners and customers to create a culture of mixed innovation in mixed cross-platform multi-cloud environments,” said Brauckmann. Brauckmann says that SUSE will now grow with a mix of organic and non-organic (i.e. acquisitions) style developments. The CEO pointed to enterprise tech growth areas the gravitate towards cloud and datacenter solutions along with the growing need for hybrid and multi-cloud solutions, application delivery, containerisation and microservices. SUSE Cloud Application Platform 1.4 will be available this April 2019 — it is the first software distribution to introduce a Cloud Foundry application runtime in an entirely Kubernetes-native architecture. 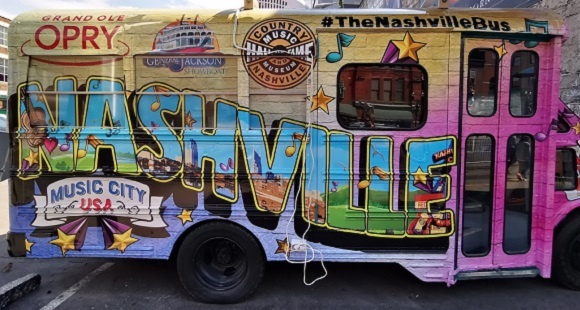 SUSE is now a Kubernetes Certified Service Provider — a development that the company says will see it provide support and service to IT shops using SUSE Cloud Application Platform and SUSE CaaS Platform application delivery products. SUSE’s latest enterprise-ready OpenStack Cloud platform will also be available in April as SUSE OpenStack Cloud 9. Based on OpenStack Rocky, SUSE OpenStack Cloud 9 is the first release to integrate the best of SUSE OpenStack Cloud and HPE OpenStack technology into one, single-branded release. … and finally, the company unveiled support for 2nd Generation Intel Xeon Scalable processors, formerly codenamed ‘Cascade Lake’, following on the heels of becoming the first enterprise Linux optimised for Intel Optane DC persistent memory with SAP HANA workloads earlier this year. Not at all a question of parts unknown, more a case of parts where some are better known than others. The Apache Software Foundation (ASF)’s Jim Jagielski and Sally Khudairi have detailed 20 major milestones that exist under the auspicious auspices of the ASF today. Without detailing every project (and the ASF holds stewardship over 350 community-led projects and initiatives) and repeating the entire story linked above… we’ll tour a handful in celebration of the fact that the ASF passed its 20th Anniversary on 26 March 2019. It would be tough not to mention Apache HTTP Server. This is most popular open source HTTP server on the planet — it provides a secure and extensible server that provides HTTP services observing the latest HTTP standards. Serving operating systems including UNIX, Microsoft Windows and Mac OS/X, the Apache HTTP Server played a key role in the initial growth of the World Wide Web. The Apache Incubator serves as the entry path for projects and codebases wishing to officially become part of the efforts at The Apache Software Foundation. All code donations from external organisations and existing external projects go through the incubation process to ensure all donations are in accordance with the ASF legal standards. Apache Maven is a build automation tool that helps Java developers build and release software. Maven streamlines continuous builds, integration, testing and delivery processes with a central repository and plug-in ecosystem. 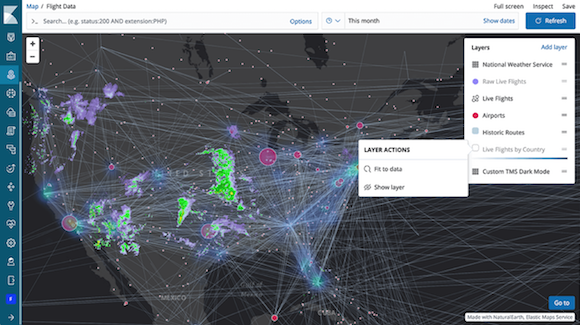 Apache Ignite is used for transactional, analytical and streaming workloads at petabyte scale for the likes of American Airlines, ING, Yahoo Japan and others on premises, on cloud platforms, or in hybrid environments. Apache Ignite’s in-memory data fabric provides an in-memory data grid, compute grid, streaming, and acceleration solutions. Apache Edgent (currently incubating) is focused on the boom of IoT – personal assistants, smart phones, smart homes, connected cars, Industry 4.0 and beyond. You want ‘empowered edge’ in open source… this is where to look. Apache Daffodil (incubating) is also growing. The ASF also has Enterprise Resource Planning (ERP) in the shape of Apache OFBiz. Apache SIS stands for Spatial Information System for the development of standards-based interoperable geospatial applications. Apache Syncope manages digital identity data in enterprise applications and environments to handle user information such as username, password, first name, last name, email address, etc. Apache Cordova is the developer tool used to build cross-platform, cross-device mobile apps using a Write-Once-Run-Anywhere solution, which enabling developers to create a single app that will appear the same across multiple mobile device platforms. The ASF says that the ‘commercially-friendly and permissive’ Apache License v2.0 has become an open source industry standard.